Finally, work boots that don’t skimp on comfort! The PolarForce Max boots are waterproof and armed to protect against the cold with Thinsulate™ and a Dri-Blaze® lining. 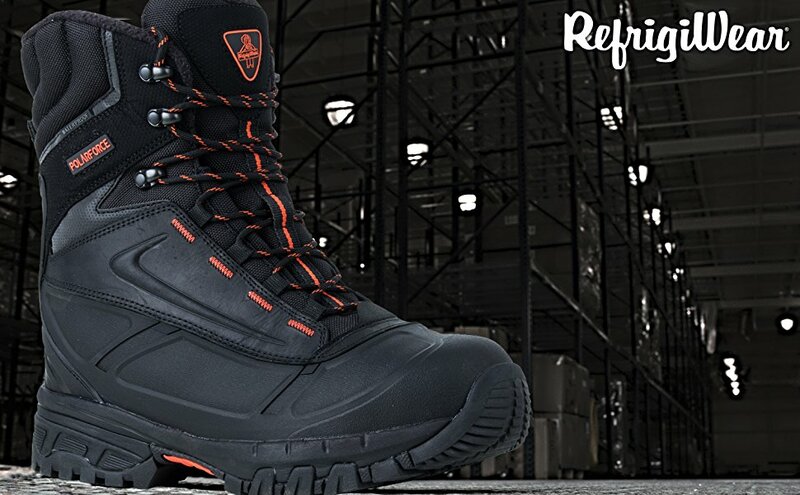 Warm work boots that also keep you protected from the hazards of the job. Can't beat that. Dig a ditch. Manage inventory. Unload a shipment. Mend the fence. Whatever items your to-do list has, you can check them off with the PolarForce™ Collection. Get the job done quickly, safely and right, so you don’t miss the important things at home. Part of the PolarForce™ collection, the PolarForce Max boots match the collection in comfort rating, style and features. 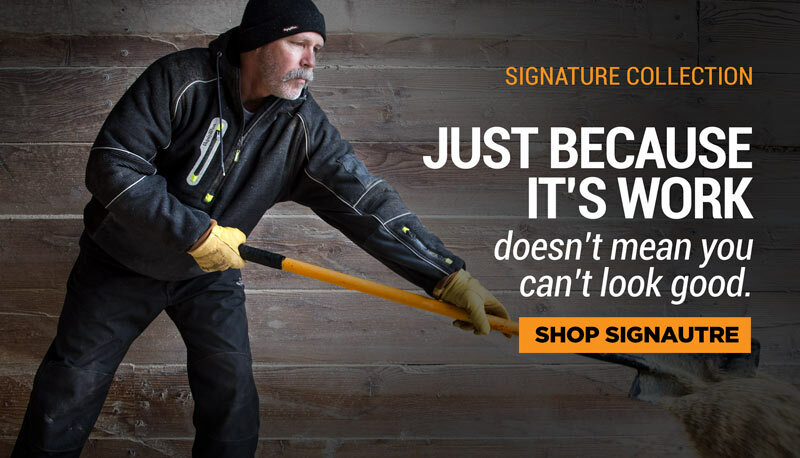 Stay protected down to -40°F with 800g of Thinsulate insulation and Dri-Blaze lining for added warmth and comfort. Experience less foot fatigue while tackling tough jobs thanks to the performance polyurethane shell keeping the boot lightweight and durable and RefrigiWear's exclusive VitaComfort system. 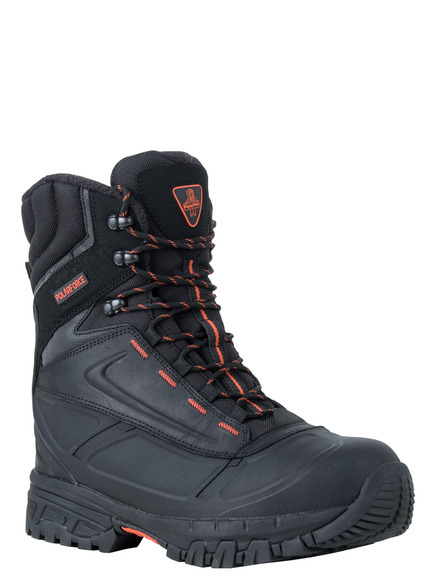 Added safety in multiple conditions with waterproof leather upper, plus anti-slip RefrigiWear outsole that is electrical hazard compliant. 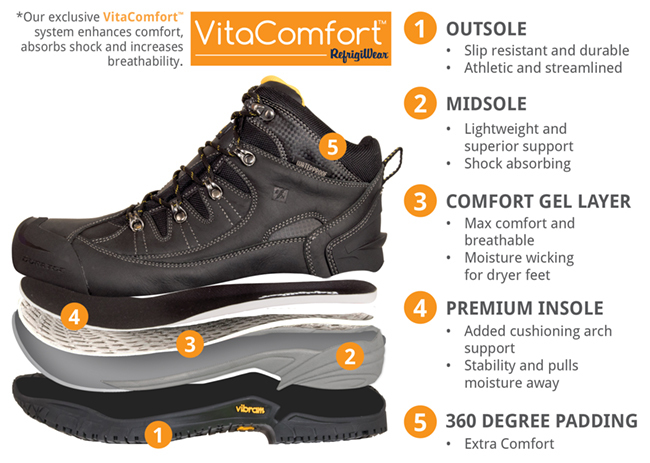 VitaComfort is an integrated system that enhances comfort and absorbs the shock your feet receive from walking on hard floors or just standing all day. With 5 key components working to provide you protection and support, VitaComfort™ provides needed relief from foot fatigue and pain. With the PolarForce Collection RefrigiWear breaks new ground in innovation. The collection features garments, gloves and footwear all designed to keep you protected and productive in the harshest working environments. Each product offers a multitude of features to maintain high performance and warmth. 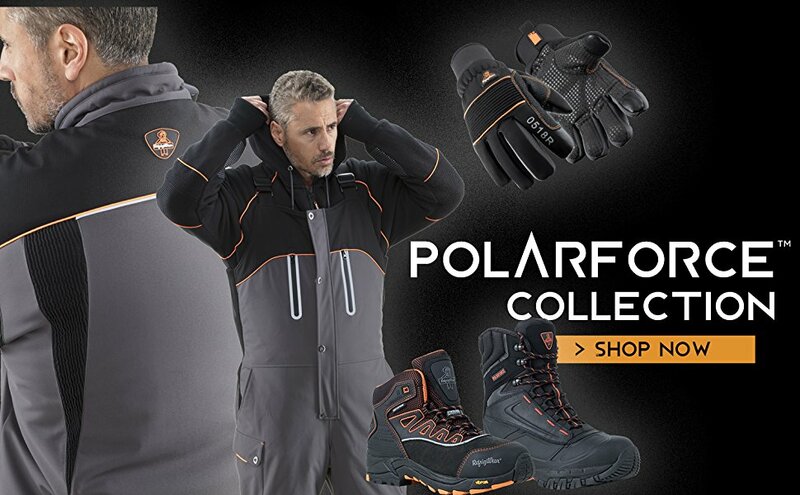 Get the job done with the complete PolarForce Collection.